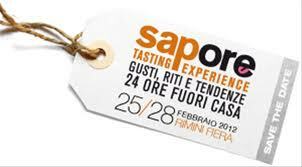 The next event in our hectic February agenda is SAPORE Tasting Experience (at Rimini Fiera from 25th to 28th February) is more than a trade expo. It is the event dedicated to all those wanting to know the future of foodservice for eating out. At its disposal, there are eight halls of the west wing of the Rimini expo centre for updating on tastes, rites and trends in a world with a continuously changing demand. The inauguration ceremony is scheduled for 10.30 am on Saturday 25th in the south foyer. Maurizio Melucci, Emilia Romagna Regional Councillor for Tourism, will take part in the ribbon-cutting ceremony. The expo therefore features a complete showcase of products and technologies from the world of catering, pasta, beer, seafood, pizza, oil, wine, regional specialities and frozen produce. Each of these sectors will be represented by the excellence of the enterprises and their proposals, alongside events and opportunities for discovering first-hand new experiences of business formats. Approximately 400 foreign buyers are awaited at the exhibition, where they will meet exhibitors according to an agenda scheduled online during the days before the expo. SAPORE 2012 will be held with the patronage of the Ministry of Agriculture, Food and Forestry Policies, Emilia-Romagna Regional Government, Rimini Provincial Government and CNA Alimentare. And if you had already planned to visit the SAPORE exhibition, please know that we will be there the whole time meeting prospects and clients. It will be a great pleasure to meet you in person: just send us an email at norman|at|desita|dot|it to set up an appointment. The Sodalitas Social Award every year prizes the most significant soc ial responsibility initiatives implemented in Italy either by large, medium and small companies operating in any branch of activity, or by business associations, by industrial districts and by government agencies. This award differs from other initiatives for its high social value – also recognized by the President of the Republic – and the growing acceptance and engagement. To participate to the Sodalitas Social Award means to be part of a selected group of companies which have distinguished themselves for their careful attention to the citizens needs, to market trends, to innovation as a tool to allow the grow of the society and to sustainability. ECOFFEE by DESITA has been published in the Sodalitas Libro d’Oro della Responsabilità Sociale d’Impresa (Golden Book of Corporate Social Responsibility), collecting all the companies which applied to the Sodalitas Social Award and that have been recognized by the Sodalitas organization as worth a mention for their actions towards a more sustainable world. 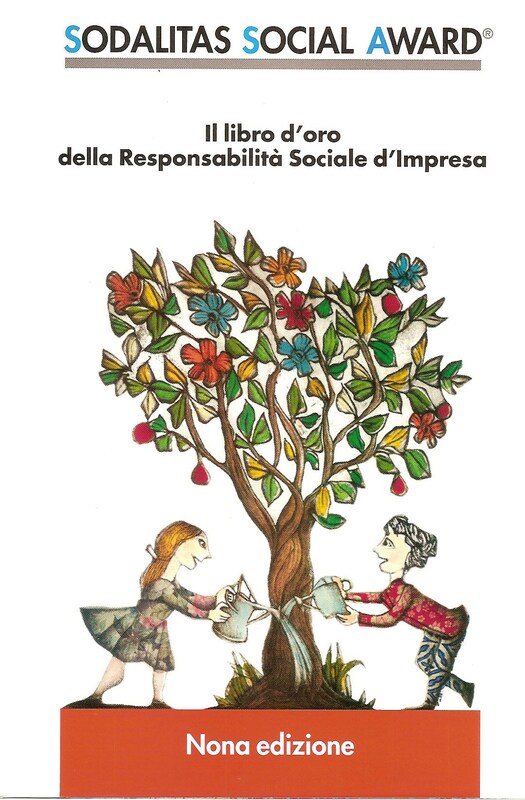 ECOFFEE by DESITA has been published in the “Sodalitas Libro d’Oro della Responsabilità Sociale d’Impresa”, collecting all the companies which applied to the Sodalitas Social Awards and that have been recognized by the Sodalitas organization as worth a mention for their actions towards a more sustainable world. To have participated to the Sodalitas Social Awards and to have been published in their Libro d’Oro sulla Responsabilità Sociale d’Impresa is a great honour for all of us who are involved in the ECOFFEE by DESITA project. This is further stimulating our daily actions towards an always greater and constant attention to those practices that can change the way we all do business, towards a better business. Our commitment to sustainability is the result of a deep belief and of continuous improvement. It is not easy, but we’re going all out. Sustainability in Italy: what big retail players are doing. Italians are virtuous, with a constantly growing attention towards the environment among young people. This is the picture that emerges from the research about Italian Sustainability and emerging lifestyles: 2,500 interviews, a sample of the Italian population aged between 15 and 74 years. Objective: To identify the most common habits among Italians to reduce their environmental impact. This explanation of Fabris, that the sensitivity of the Italian added: “We are not the most attentive of Europe, but we have a different kind of sustainability. In the research we have identified four types of “green” attitudes. There are “promoters of a shared involvment” (10.9%) who practice a sort of militant environmentalism, they think that everyone can do something and that sustainability is a value. Then there are the “those who judge” (10.4%), people who feel the need to see polluters and waste producers being legally punished. The vision of “eco-nostalgic” (14.8%) is about a return to the past and considering saving and reducing consumption real goals. Finally, there is “the vanguard of sustainable consumption” (63,9%) who have a key to modern, pragmatic and are willing to pay for more virtuous behaviours” This last category direct their purchases mainly to products of the big market, identified as guarantors of attitudes ecofriendly. And as we have already informed you about, another worlwide known Italian company, Illy, have been awarded for its sustainable approach during the production processes, receiving the DNV Green Coffee Responsible Supply Chain Process certification. A certificate that emphasizes respect for the ecosystem through the use of recycled packaging and non-polluting practices. Ho.Re.Ca and sustainability: in Italy there are still people who do not like to match these two words or that asserts that “the time has not yet come,” and this is the great challenge we are – successfully – addressing with ECOFFEE. We strongly believe that the Italian consumer is able to perceive and reward the added value of sustainable products and services, and the news that McDonald’s has just opened its first green restaurant in Italy, in Lainate (near Milan) do prove that we are not wrong. This green McDonald’s was designed to be completely self-sufficient in energy: thanks to solar, wind and biomass. The project costed € 5 million, 20% more than a traditional restaurant but at the end of the year it will certainly pay off in terms of increased brand reputation, reduced environmental and social impact, not to add the reduced costs due to the energy saving architecture and technological process. 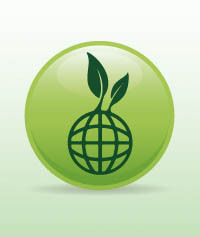 At the end of 2011, the results coming from the adoption of these policies will be evaluated by an Italian green environmental consulting company ECOFFEE has already established a business connection with a while ago. Meanwhile, McDonald’s aims to achieve the European certification EN 16001, which will help the company to organize systems and processes aimed at improving the economic benefits of energy efficiency and reducing emissions of greenhouse gases. But let’s talk about the “McGreen” in Lainate – a project whose details are available at the McDonald’s site www.persapernedipiu.info Currently, the restaurant is able to produce up to 90% of the energy needed, but within three months it is said to reach 100%, thanks to a pioneering trigeneration plant that use the exhausted cooking oil as fuel. The building structure is earthquake resistant, and thanks to the “Einstein”system customers are always updated with real-time data regarding energy consumption and savings thanks to a monitor positioned at the entrance of the restaurant. Particular attention was paid to the restaurant supply chain and to the ingredients used in the menu, where customers can also find “local” ingredients belonging to the traditional Italian cuisine, like the Alto Adige IGP Speck, Parmigiano-Reggiano DOP, IGP oranges from Sicily, to name a few. The coffee served will not be the one of the Italian companies Illy or Lavazza, which are known for their sustainable products, but the one certified by the international organization Rainforest Alliance. On the outside of the building, ecoattivo asphalt – when struck by sunlight it triggers a reduction of pollutants- energy-efficient refrigerators and incentives for the customers using electric cars. “Lainate is not a departure or arrival point, but a stage of a journey that McDonald’s sets out a while ago. For the Expo 2015 we will be able to implement a reduction of 15% of our CO2 emissions, an increase of 15% of our energy savings and another 15% increase of the energy we use from renewable sources. In 2020, these percentages will rise up to 20% allowing us to meet the Kyoto Protocol parameters”said Roberto Masi, McDonald’s Italy CEO. Vinitaly focus on export and on the Italian market decline. How to seize the new opportunities coming from abroad, particularly from Asian markets, and how to support the internal Italian market are the two main themes of the 2011 Vinitaly, the most important Italian Wine exhibition, which is taking place in Verona (Italy), and will end on April 12 . 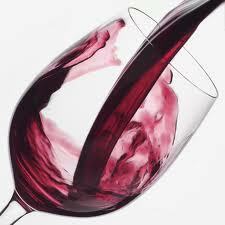 The Italian wine business is quite a big one, worth € 13.5 billion plus a €2 billion deriving from induced activities. But there are lights and shadows. For example, on the exports side, 2010 experienced a growth reaching a +12% equal to 3.93 billion euro, while domestic consumption is decreasing. For the first time, reports Coldiretti (the Italian association of Agriculture farmers), 2010 showed a stagnation in the internal sales, now at € 3.89 billion. Even a survey Vinitaly Winenews-emerges as foreign markets are critical to revenue growth, a situation that can cope with the larger companies, but few compared to many small enterprises that characterize the Italian production scenario and still have turnover rather weak. A Vinitaly-Winenews survey on 50 companies among the most representative of the Italian business, show that 2010 ended with an average revenue increase of 8%, driven in particular by exports (+14%). As per 2011, the report show a degree of optimism: 75% of the interviewed said to be quite positive, 15% positive while a 10% of wineries that still feels the situation to be critical. The most critical points highlighted by the survey are economy instability, weak consumption, the loss of international competitiveness, the hars internatioanl competition. The boom in exports, according to Coldiretti, is due largely to the U.S., which in 2010 became the country with the highest consumption of wine in the world. The American market, which is worth about $ 30 billion, is covered for 61% of production in California, but Italian wines are the most consumed ones, growing in value by 11%. The most important destination of Italian wines are Germany, +4% in 2010, China – exports to this country doubled in 2010 – India, +65%, and Russia, +58%, equal to €104 million. Italian consumers love sustainable products but need better product information. One of the findings of the “For a Sustainable Supply Chain: business and consumers point of view” survey conducted by the GfK Eurisko and promoted by the Sodalitas Foundation, the product/service sustainability is ranked fourth among the criterias used by consumers when choosing, but if better communicated, will become an increasingly important requirement. During the investigation 500 consumers and 183 businesses were interviewed . To more than a third of the companies, sustainability is very important. However, only a minority (29%) in the interviewed sample declares to be thoroughly familiar with this concept, while a substantial percentage (45%) say they have “enough information”, confirming the gradual integration of this concept in the corporate culture . The majority of consumers (63%) had heard of sustainability, even if only 19% of them (mostly young and with a high level of education) believe to know well its meaning, with a prevalence of the environmental (83% ) on the social aspects (64%). The responsibility for a “sustainable development” is primarily attributed to the central Government (86%) and to local governments (82%), but a very high percentage of respondents (over 70%) thinks businesses and citizens responsible to ensure the sustainability of the development. The opinions about the companies’ commitment to sustainability is different: one third of the sample (35%) expressed a positive opinion, a third is critical and another third has no a definite opinion about it. Biometrics, methods for uniquely recognizing humans based upon one or more intrinsic physical or behavioural traits, is very important when evaluating the efficacy of a retail store design or display and assessing counter actions to make the retail environment more customer friendly. According to NY Times, IBM is currently testing a revolutionary biometrics method in two location in downtown Milan – a fashion company flagship’s store and an electronic store. The I.B.M. solution, involves tracking biometrics through a mini camera in a mannequin’s eye or placed somewhere in a store and the collected data will be aggregated so that not to be traced to any individual. I.B.M.is now also working on software that will let clients try on jewelry and makeup wirelessly thanks to a mobile phone or computer, with an iPad application likely to debut soon. 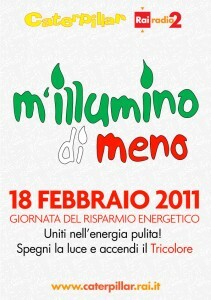 Today is the M’Illumino di Meno 2011 day organized by Italian Rai2 Caterpillar radio program. The campaign aims to the awaken public attention toward the energy issues by inviting people, companies and public structures (schools and municipalities) to reduce the waste of energy during this day. Many companies and municipalities have adhered to the campaign – the whole list is available here. The Green Key is a Danish eco-label for all tourist accommodations (hotels, campsites, hostels, farmhouses, cottages and bed & breakfast) interested in reducing their environmental impact in the area .The hospitality structure that is interested in receiving the Green Key Certification must not only comply to a set of environmental, management (i.e. policies and impact assessment), food and product criteria, but also introduce a sustainable use of water and energy resources and waste management in its everyday workflow and operations. We are sure that this is only the first step to raise the sustainability of Italy’s hospitality structures, which are now not really aligned to the eco-sustainable International standards.